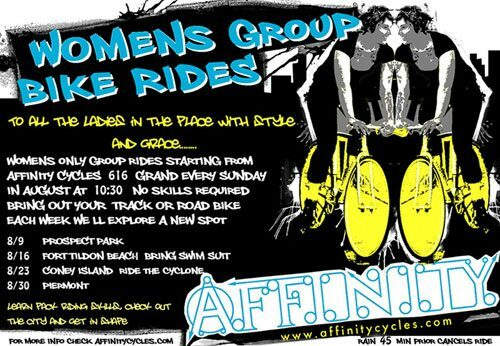 Catch up with the ladies Affinity crew and join us on our summertime group rides. We’ll be heading around the city exploring different spots each week. This weekend we’ll be heaing to Fort Tildon Beach. The ride leaves sunday at 10:30 fromthe shop. Call the shop or email if you have any questions.